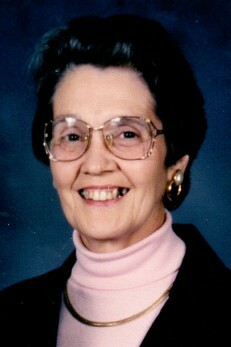 Wilma Jean (Jeter) Coale, age 78, of rural El Dorado Springs passed from this life in the Stockton Nursing Home on Wednesday, November 4, 2015, in the presence of her husband and children. She suffered through a long battle with the dreaded Alzheimer’s disease, fighting to stay with her family until the end. She has now gone to spend eternity with her Heavenly Father, and wait for her husband and children to join her. Jeanne was born the third child of Willard (Bill) and Hazel (Whitney) Jeter, in Lyndon, Kansas. At age three, her family moved to a farm in Cedar County, MO, near Humansville. When Jeanne was five years old, she started school at the Fairview District School, then graduated from Humansville High School in May 1954, at the age of seventeen. After working with her dad that summer doing custom hay baling, she moved to Kansas City, near her older sister, and began working for an insurance company. Through a friend at church, she met Airman Robert Coale, when he was home on leave in April, 1955. At that time, he was stationed in San Antonio, TX. She spent two holiday weekends with him in San Antonio, the second being July 4th weekend; that is when he proposed. She said she would pray about it, and then called him from a bus stop on the way home to say “yes”. Bob and Jeanne were married, July 31, 1955, at the home of his parents, Horace and Edna Coale of El Dorado Springs, MO. They moved all of their belongings, (not many) to the Fort Ord base in California, where Bob studied the Korean language and Jeanne worked for the Mess Hall Sgt. Debra Jean was born on June 5, 1956, and one month later, Bob took them back to Cedar County to stay while he spent the next year in Korea. James Robert was born at the AFB Hospital in Mississippi, June 24, 1958. After his discharge from the Air Force Bob went back to finish his Ag degree at MU. Their third son, Richard Leon was born on November 1, 1959, in the Humansville hospital, soon after the death of Jeanne’s mother. Bob’s first job took them to KC, MO, where Cynthia Sue (July 12, 1961) and Micheal Ray (December 3, 1962) were born. The family spent three years near Columbus, Ohio, where Bob had a good job but they had to travel two hours to get to a Missionary Baptist church, and were away from family. They moved back to an 80 acre farm near Bob’s folks in 1970. There Jeanne’s dad, and others helped to build their family home; they were glad to be “country folks” again, close to church and family. Willard (Bill) Dean was an unexpected surprise, born March 9, 1973. This was Jeanne’s home, until she began her stay at the nursing home in January, 2011. Jeanne was saved, then baptized in her early teens, at Fairview Missionary Baptist Church, which was within walking distance from her childhood home. From that day forward, going to church and praying for others became her life’s work. It is hard to separate the love she had for God, her church and her family; it was all one LOVE, and her mission in life. All of her children and grandchildren have been saved; no doubt due to her diligence in prayer, one of her greatest attributes. While living in Kansas City, Jeanne became a charter member of Charity Missionary Baptist Church in Independence, MO. She was a member of Hazel Dell Missionary Baptist Church, El Dorado Spgs, at the time of her death. She was a woman of prayer, and had a tremendous amount of FAITH. Jeanne had a beautiful smile and big brown eyes. Her heart was selfless, and her family was always taken care of before herself. She was quick witted with a wink, and comforting with a hug. Jeanne loved to be outside, especially in the early morning, working, walking, playing and praying. She loved music of all kinds, but especially gospel, and songs sung by her children. She was often singing or humming, and even wrote or added verses to songs. Her creative writing skills were superb, most inspired and personal. She was an excellent seamstress and loved sewing; she made many of the clothes her children wore growing up, including wedding dresses for both of her daughters. She was humble, prayerful and strongest in the time of trouble. Jeanne was preceded in death by her parents, Bill and Hazel Jeter; her older sister Anna Mae Jeter Potts; brother, Fred Jeter; her father and mother-in-law, Horace and Edna Coale; and daughter-in-law, Kelly Coale (Jim’s wife). Survivors include her husband, Robert, of the home; her six children, Debbie Johnson and husband, Eddie, Stockton, MO; Jim Coale, Siloam Springs, AR; Rick and Colleen Coale, EDS; Cindy and Doug Webb, Carthage, MO; Mike and Dena Coale, Ash Grove, MO; and Bill and Kim Coale, Worcester, MA; sister Mary Beth Martin, Springfield, MO; Grandchildren, Jessica and Matt Stephen, Appleton City, MO; Jennie and Doyle Dunagan, Stockton, MO; Gabe and Krystle Coale, Oak Grove, MO; Sarah and Jonathan Sharp, Springfield, MO; Cassie and Matt McCandless, Mt Pleasant, SC; Justin Coale and Shayla Coale, Ash Grove, MO; Jake and Taylor Webb, Joplin, MO; Matthew Coale, Fayettville, AR; Brandon Coale, Siloam Springs, MO; Julian Coale, Worcester, MA; great-grandchildren, Coy, Lila and Reid Stephan, Appleton City, MO; Ryeder and Treyce Dunagan, Stockton, MO; and Elijah Coale, Oak Grove, MO; and numerous other friends, relatives, and church family.